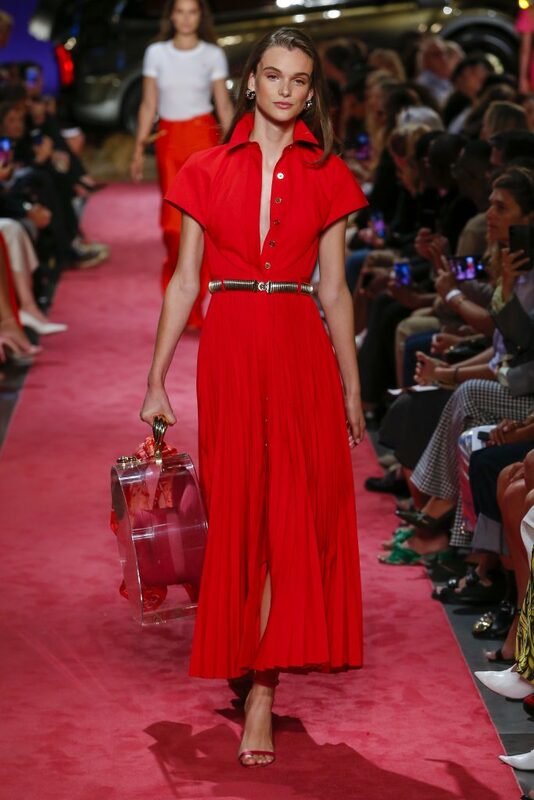 The shirt dress is back in a BIG way for Spring 2019. My question is-did it ever leave? 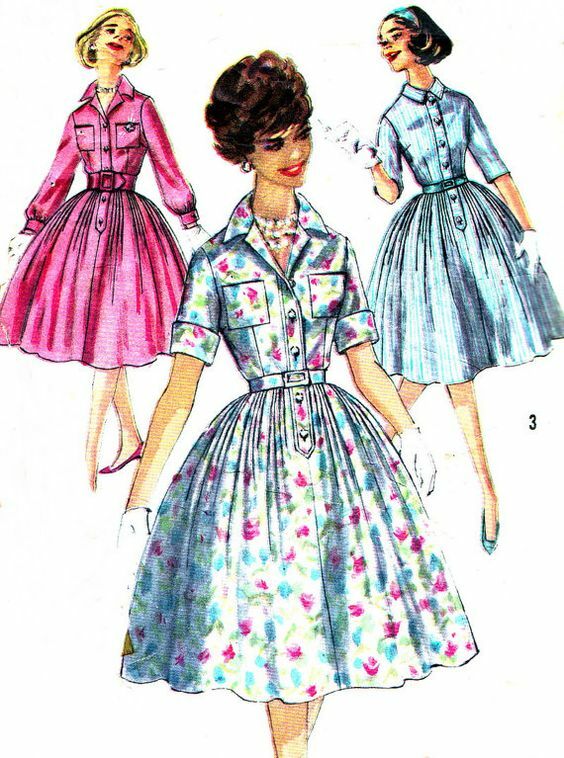 The shirt dress was a woman’s everyday uniform back in the 1950’s. 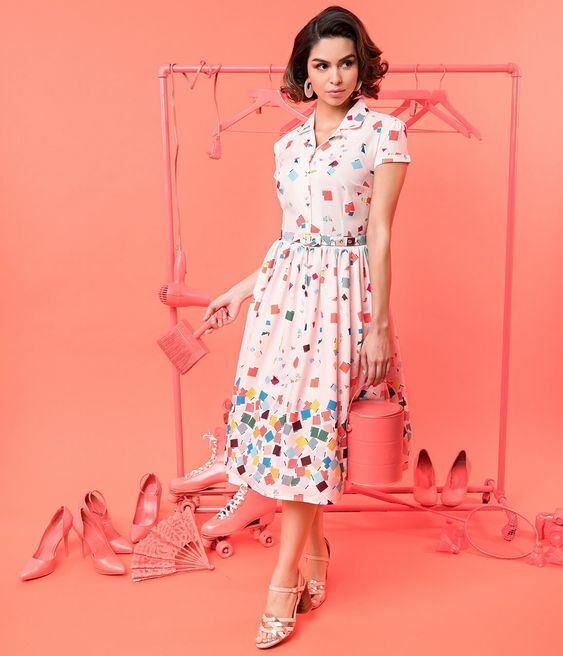 Women needed an outfit that was easy to move around in and maintain a sense of style.-The original design was fitted on top with a very full skirt cinched with a belt at the waist. I remember my Mother wearing a shirt dress in a pretty color everyday growing up. It was always crisp,clean and cinched her waist with a thin matching belt and had a slightly gathered full skirt that hit just above her knees. My Mother did all her daily chores wearing a shirt dress and now that I think of it, she never looked anything but perfectly pulled together. How did she do that?! 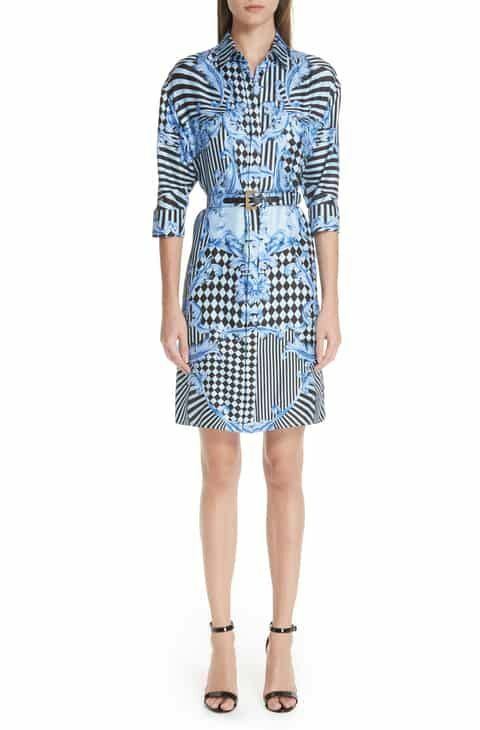 Today’s shirt dress has so many variations to choose from but the one constant is that no matter what shape, color or print the overall design is flattering and feminine. 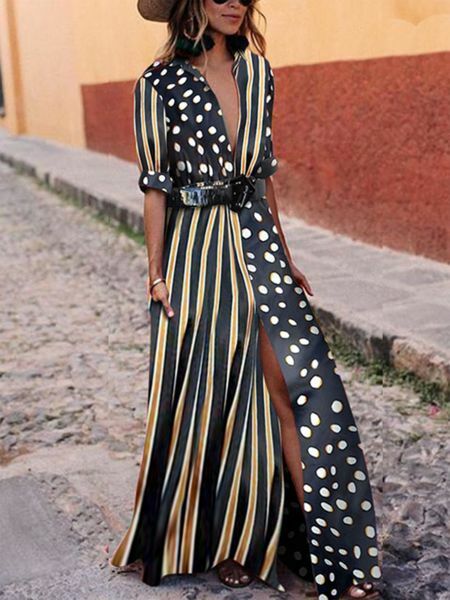 The shirt dress is back ! ( And most likely..here to stay).